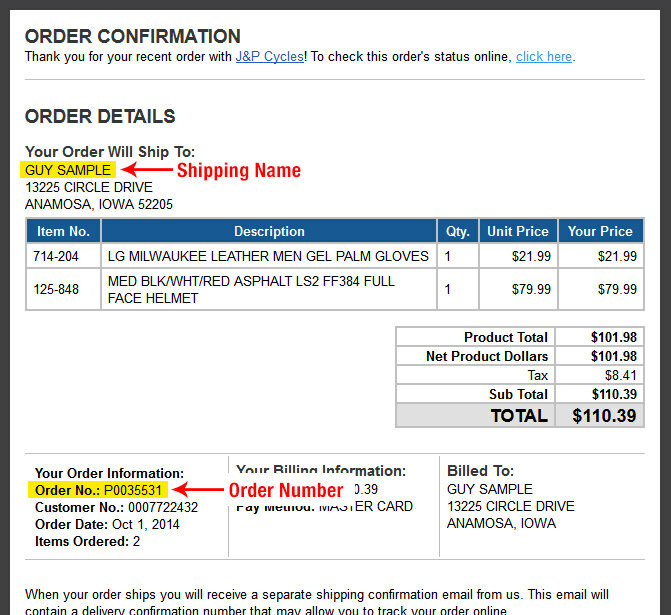 J&P Cycles' return policy is the best in the industry. We want you to be satisfied! Returns must be made within 120 days of invoice. Shipping fees are non refundable. All returns must be in new condition, with no mount marks, damage, or wear. Defective parts or parts sent to you in error will be exchanged or refunded in full. See our special warranty notes on exhaust systems, gas tanks, and electrical items. Not sure it'll fit? No problem! We offer hassle free exchanges on selected items. Please visit our Free Exchange program for details. You are returning a part from outside of the United States. If you choose to not use our prepaid label, and instead pay for the shipping up-front, you are responsible for insurance and shipping charges on returned items. COD returns will not be accepted. And don't forget to include it with your return. Carefully package your return to avoid damage in shipping and ship the package back to us for a refund or exchange. 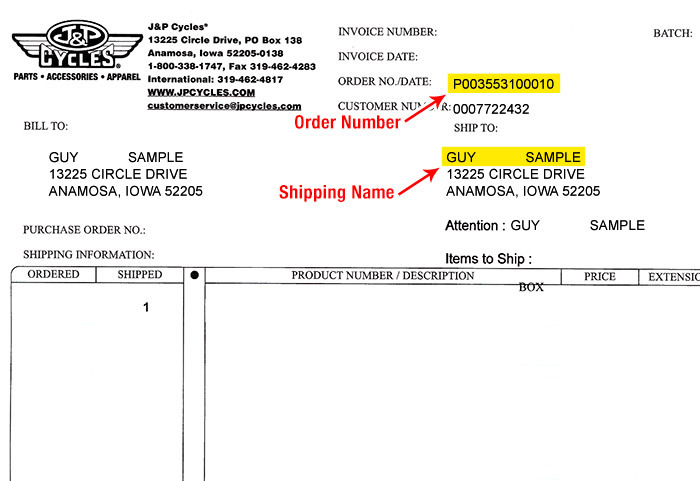 Learn how easy it is to make sure your return makes it to J&P Cycles safely and what happens to it when it gets here. Look up your order & select the parts you'd like to return. Fill out the return form & download your return label. Package & ship your return to us. « Go BackWhere's My Order Info? 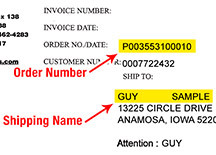 Find your Order Number and Shipping Name on the invoice included in the package with your order. Click to view a larger example. 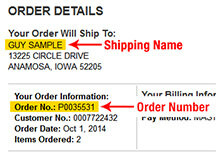 Find your Order Number and Shipping Name on either your order confirmation or shipping confirmation emails.